Since the beginning, Kaijuvision Radio has had a unique mission. Hence the emphasis on culture, history, and global issues. This mission carries over into social media. There are plenty of sources on Godzilla-related news already. Why devote time to duplicating what’s already out there? Everyone’s seen the latest “King of the Monsters screenshot”. Not everyone knows about what’s going on in the South China Sea. That’s why I post about Japanese history, current events in East Asia, and Japan-related stories of local interest. Just because something isn’t directly related to Godzilla, it has to do with the show’s mission. Takuma Sato won the Indianapolis 500 in 2017. He’s the first Japanese man (and thee first Asian man) to do this. He made history. Kaijuvision is produced in Fort Wayne. So, I decided there should be an article about this historical event. It’s a story of local interest. After all, there are two connections to the Indianapolis 500 in Godzilla movies. In All Monsters Attack (1969), Ichiro’s bully wears an Indianapolis 500 shirt. In the episode on that film, I said how that’s maybe a reference to the give-and-take relationship that the US and Japan have on some issues. The second connection is in Godzilla vs. Megalon (1973). Hiroshi drives a car that has an Indianapolis 500 sticker on the window. 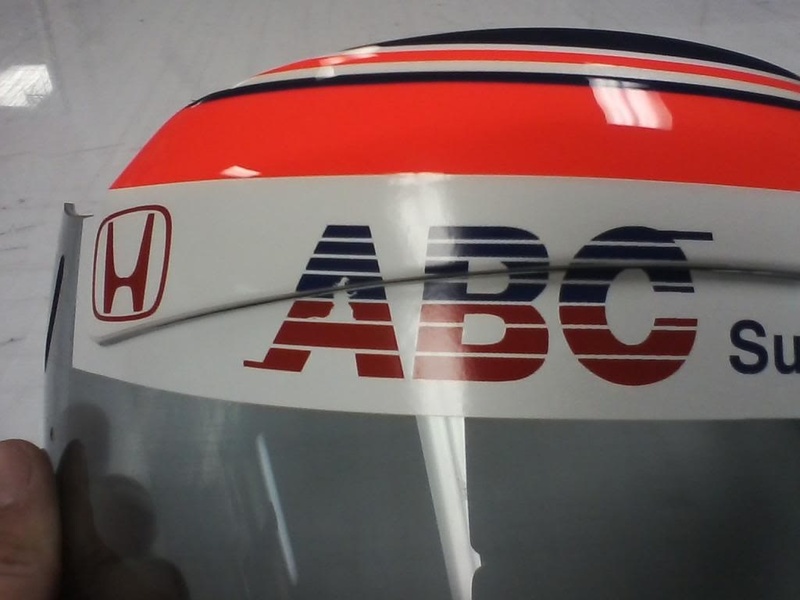 See the original blog post about Takuma Sato here. Similarly, sports figure Hideki Matsui is nicknamed Godzilla. Matsui had his own cameo in Godzilla Against Mechagodzilla (2002). Ever since 1954, Godzilla has been an expression of the Japanese National Spirit, just like Sato’s achievement is. So two years later, the connection between Godzilla and Takuma Sato’s win at the Indy 500 has come full circle! Congratulations on winning the 101st running of the Indianapolis 500 this past Sunday, Takuma Sato! 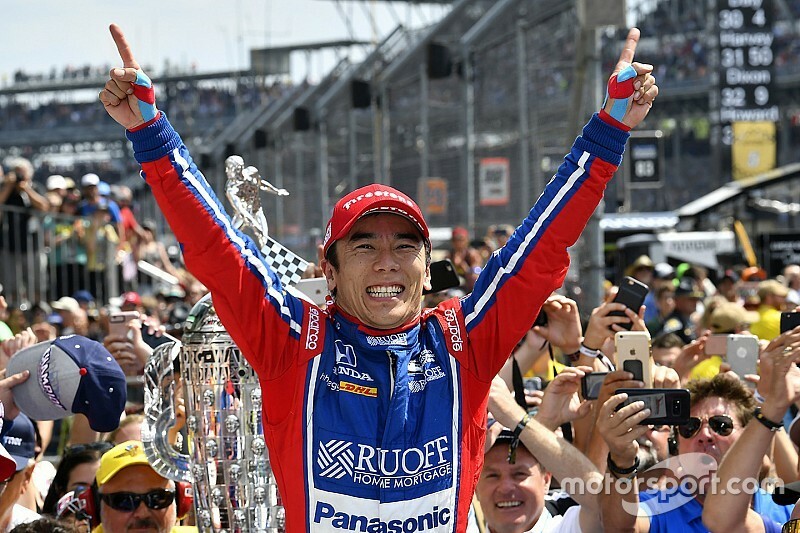 We here at Kaijuvision Radio are not only excited to see the underdog win, but also to see the first Japanese driver win the greatest spectacle in motorsports. A big part of Kaijuvision Radio’s focus is Japan and its history and culture. As mentioned, this marked the first time a Japanese driver has won the Indy 500. Heck, he’s the first Asian to win the 500. That’s a big deal. Undoubtedly, he’s made his home country quite proud. This is a fairly local story for Brian and I since we both live in Indiana. The Indianapolis 500 is easily the biggest event here. It’s the one time a year the whole world pays attention to our great little state (unless you count the one time Indianapolis hosted the Super Bowl). The 500 is a prestigious event that has become an annual tradition for the entire country for over a century. -In 1969’s All Monsters Attack (aka Godzilla’s Revenge), one of the bullies who tortures Ichiro wears a red sweater adorned with an Indianapolis 500 logo. 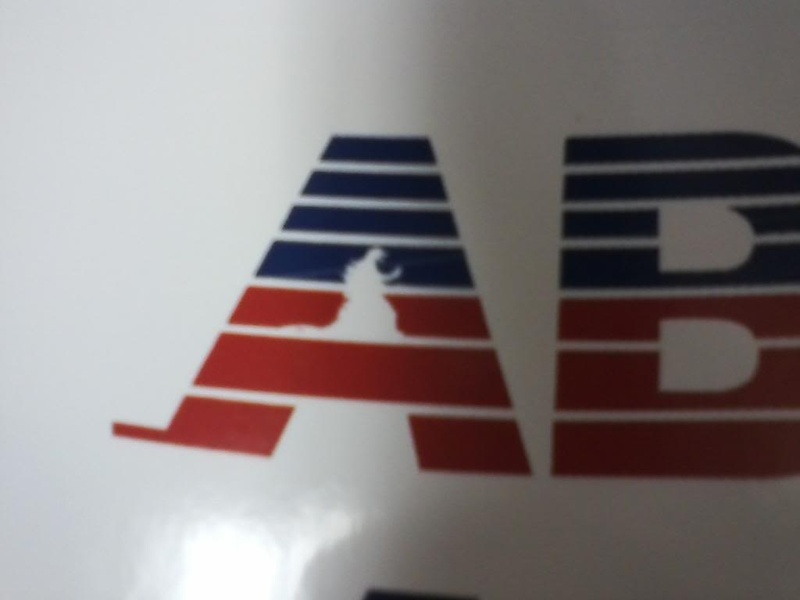 Well, maybe not a logo, per se, but certainly an Indy 500 artwork of some kind. -In 1973’s Godzilla vs. Megalon, the character Hiroshi seems to be a car collector since he’s seen driving several different ones. During his first car chase with Seatopian agents, an Indy 500 logo sticker can clearly be seen on the windshield of the car he’s driving. Perhaps he’s an Indy racing fan? What these seemingly weak connections show is that there’s been something of a fandom for auto racing in Japan for several decades. It was prominent enough that not only was the sport shown in Godzilla films, but it was a direct reference to me and Brian’s little corner of the world. So, in a way, with Mr. Sato’s victory Sunday, it has finally come full circle. I’m sure Hiroshi would be a huge fan—and probably give him advice on how to drive down stairs while eluding bad guys.